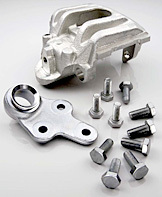 BTR-Plating Resources is recognized as a quality leader in the rack and barrel electroplating industry. Our experience, knowledge, and standards for excellence make us uniquely qualified to meet your electroplating needs. Electroplating is an electrochemical process for depositing a thin layer of metal on a metallic base. 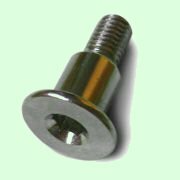 Objects can be electroplated to avoid corrosion and to obtain a hard surface with an attractive finish. Rack plating is a process used for large, complex, or fragile parts. It is excellent for producing selective deposits. In this procedure, parts are hung on a "rack" that is then submersed in the plating solution. 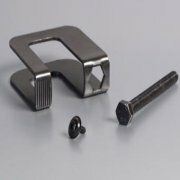 Metal hooks or bands are used to hold the parts in place as well as provide the necessary electrical contact. 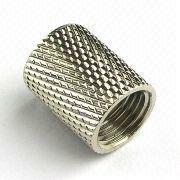 Barrel plating is an efficient and relatively low cost method of plating. 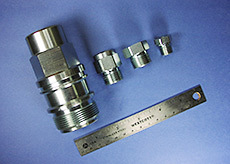 Parts are placed inside a barrel that slowly rotates while it is immersed in the plating solution. Electrical contact is made through the use of danglers that are located inside the barrel. 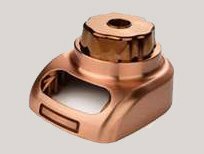 This plating method is usually recommended for smaller parts that are fairly durable and damage resistant, since high volumes of parts can be plated with uniform coverage this plating method is the more economical of the two methods. That’s the formula that has made us a respected leader in the industry.